What are your plans for Canada Day!? 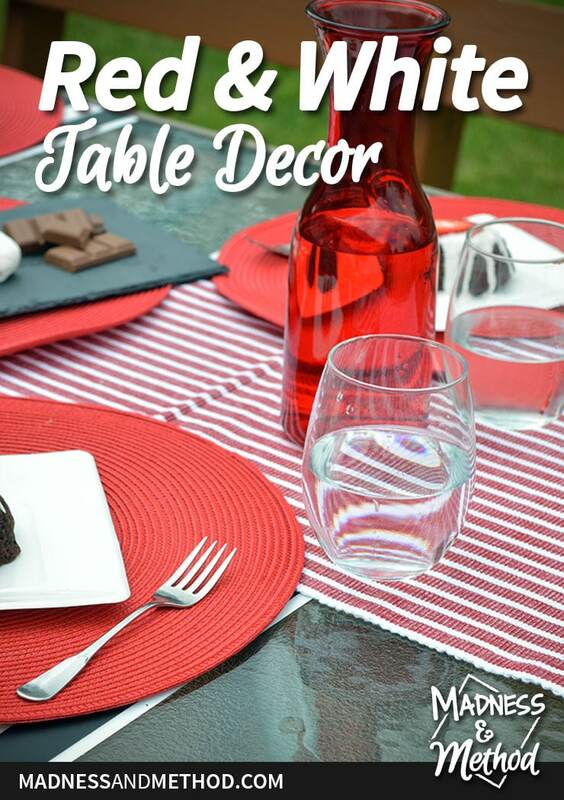 If you’re planning on celebrating in style, you might want to get some red and white table décor for your event! 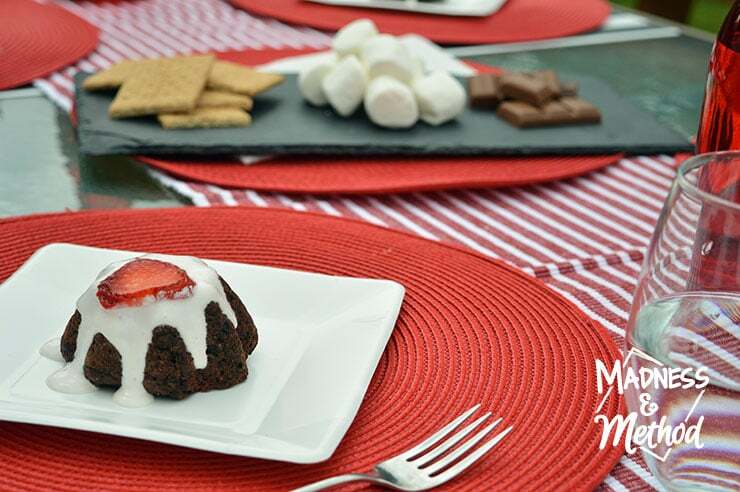 What’s your go-to party food style? Do you like a traditional sit down meal, or a more casual (serve yourself) kind of thing? For our most recent get together, we went with a serve-yourself ice cream bar and it was definitely a good summer choice! 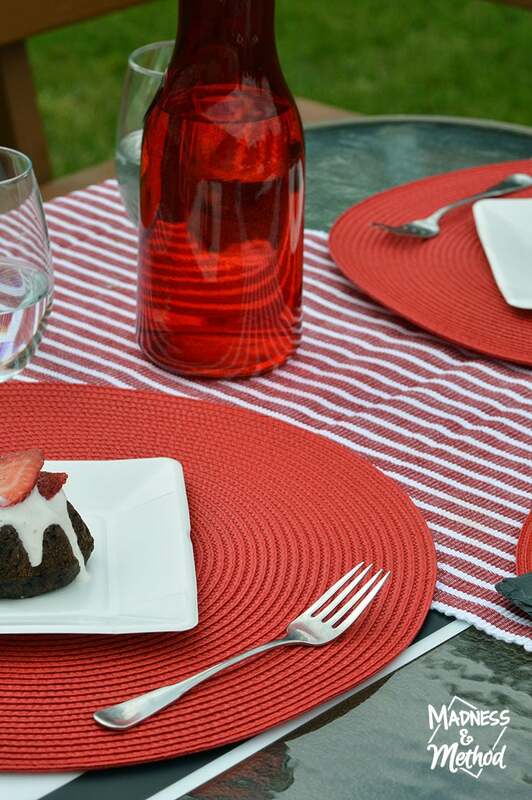 Today I’m sharing a couple of photos of our setup, but I also wanted to show how you can use the same red and white table décor in a more traditional way; so you can recreate this look no matter the occasion or party style! 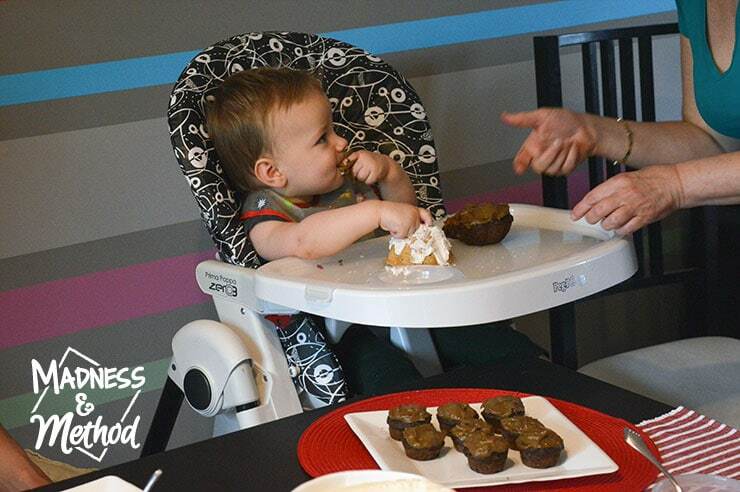 Last weekend our little baby turned 1 and I really wanted to celebrate his big day and make it special. After a late rain sprinkling kept our party indoors (I briefly mentioned it when I talked about our deck plans), we still managed to fit everyone in and have a good birthday party. At the same time that I was thinking of his birthday plans, Wayfair.ca wanted to know if I could share some Canada-themed décor with you. It’s actually a BIG celebration this year (Canada’s 150th!) and I knew that I could incorporate Canada’s colours into our party. 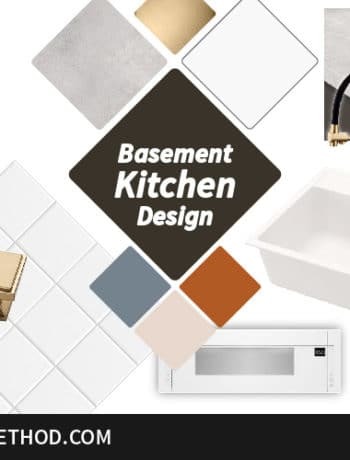 Thankfully, Wayfair.ca has a great Canada 150 resource page with some Canadian (and red/white) items already organized. 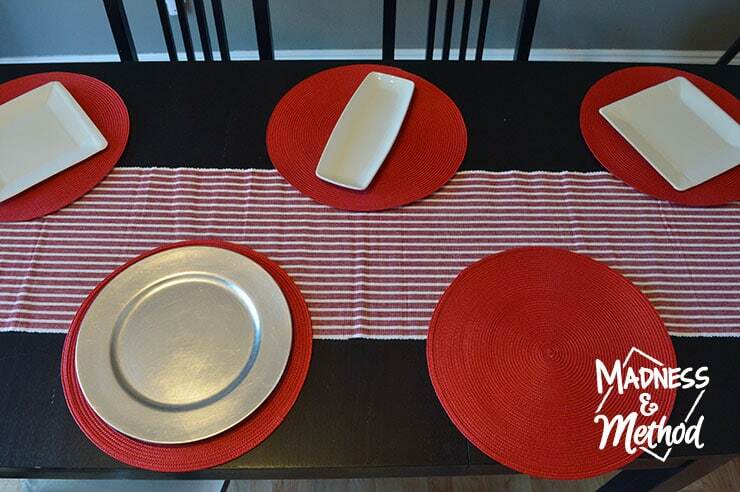 I ended up getting a nice striped table runner and some round red placemats. 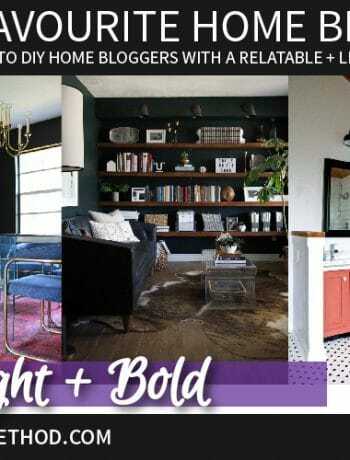 I knew that they would go well with the red accents in our living room, and I could easily reuse them for different occasions. 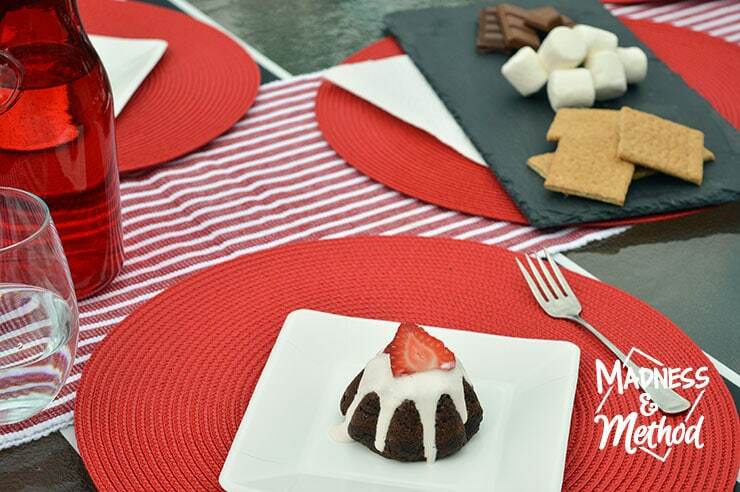 For our serve-yourself ice cream station, I used five round placemats as our different stations. The two with the square plates would hold the mini cupcakes, the one at the back had the toppings and the two in the front had the cones/bowls and ice cream. Doesn’t the red go with our chair nicely? I tested the setup before the party to make sure it looked nice! The plan was to have people grab their ice cream and eat them outside; but with the rain we improvised and just had everyone sit around the table and in the living room. I actually had a lot of cones and waffle bowls already, so that’s why I came up with the cake and ice cream idea (actually, I had all the toppings too!). 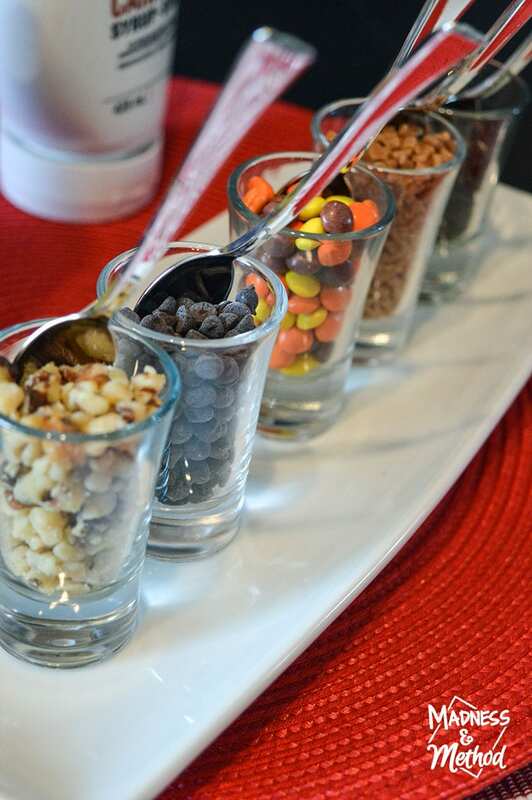 The toppings were placed in shot glasses and scooped with little spoons. 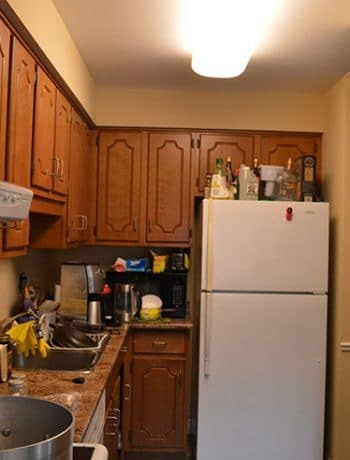 You can also use clear glasses or bowls, but I didn’t think we would need that many toppings. 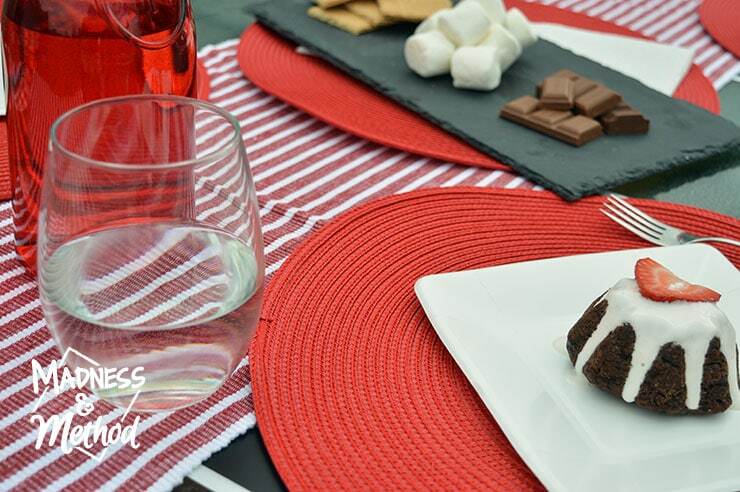 If you’re planning to host a Canada Day dinner, you definitely need to bring out the red and white décor! Since Canada Day is July 1st, the weather is bound to be nice (and by that I mean there won’t be any snow haha!). 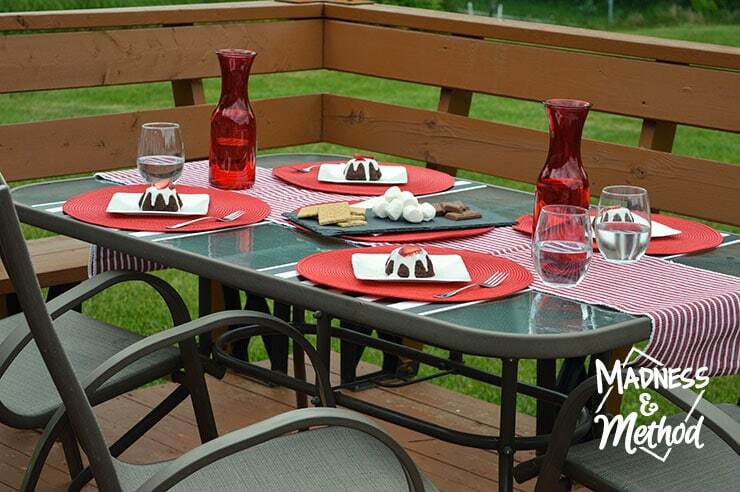 Which means it’s the perfect opportunity to host an outdoor event! 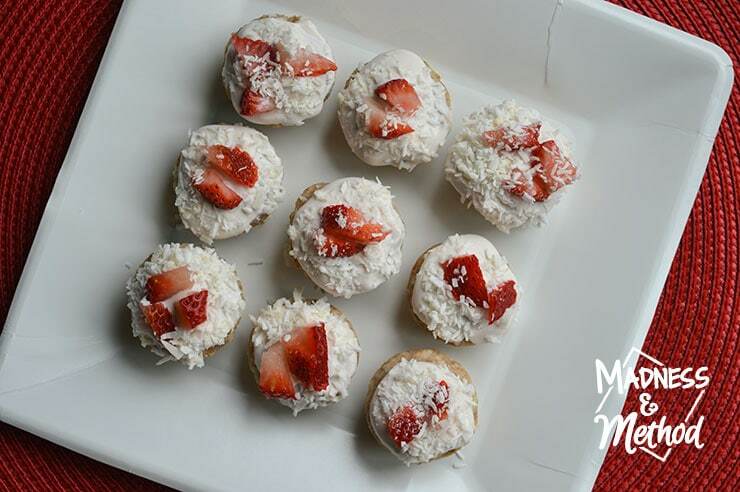 I had some baby cakes leftover, so I set them up for my photos. I think it’s a really fun idea to use square plates on the diagonal to play up all the different geometric shapes. Actually, I’m not yet sure what our plans will be for the big 150 celebration. Did I ever tell you that I lived in Ottawa (the capital of Canada) and never once went to the SUPER huge celebration they have!? Do you know what you’ll be doing this July 1st? 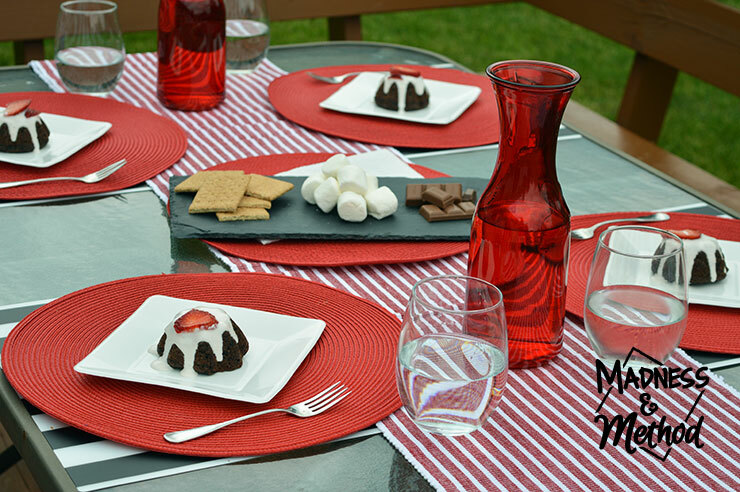 Let me know how you’re planning on celebrating the big event – and don’t forget to check out Wayfair’s Canada Day-core section if you want any fun ideas and items to add to your home. 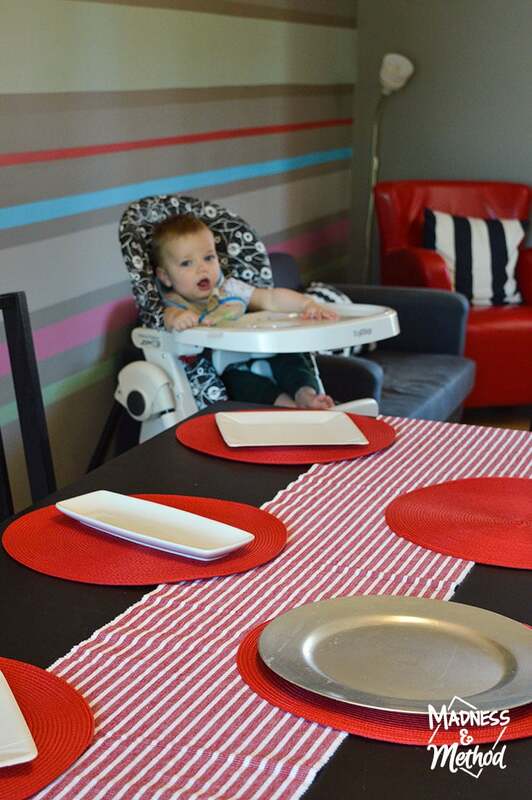 (And remember that I made a red and white table decor idea board too). 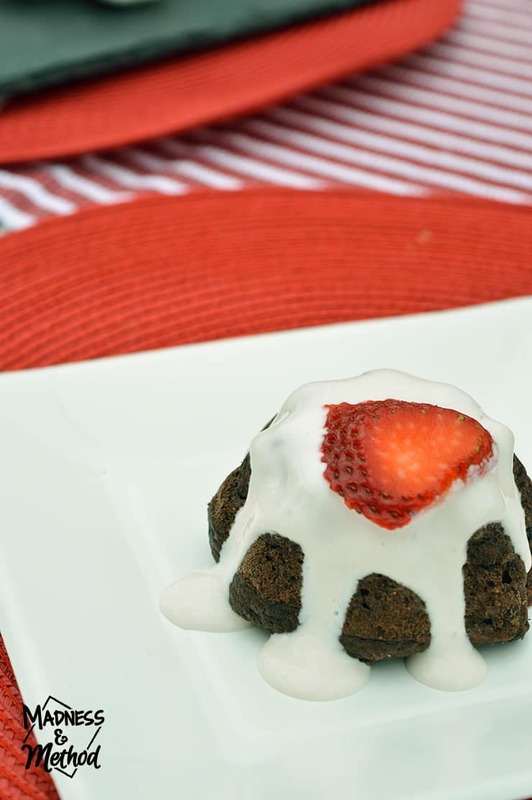 Perfect for the 4th, love the dessert idea. Your baby is very precious.have a great holiday to you and your family.